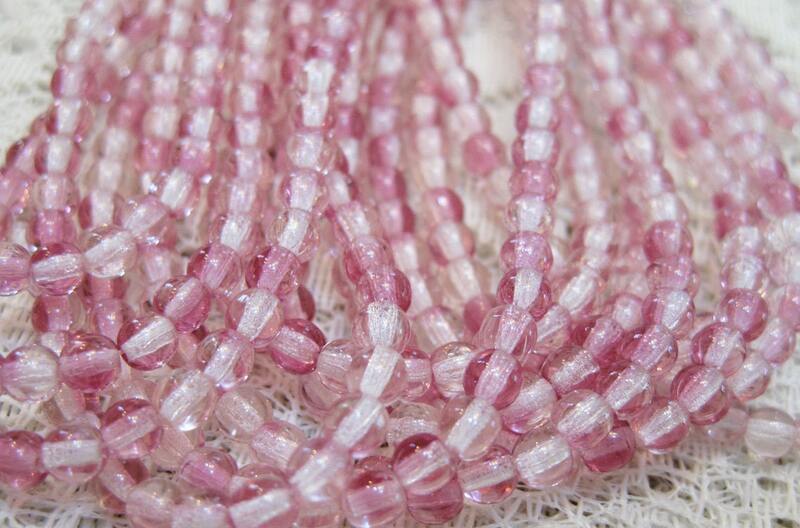 Fuchsia and transparent mix of Czech pressed glass 4mm round Druk beads. The fuchsia color is in the radiant orchid palette and the bright color reflecting on the clear beads gives the illusion of a pale pink. Very pretty color mix! There are 50 beads per strand.